Kids Feeding Kids is a non-profit organization that focuses on helping children in impoverished areas. They partner with Feed My Starving Children, which provides food packs. 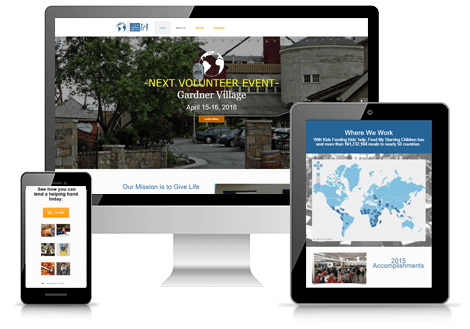 After spending time researching and putting together a new mobile responsive website, Kids Feeding Kids is now able to direct volunteers to events and collect donations online.